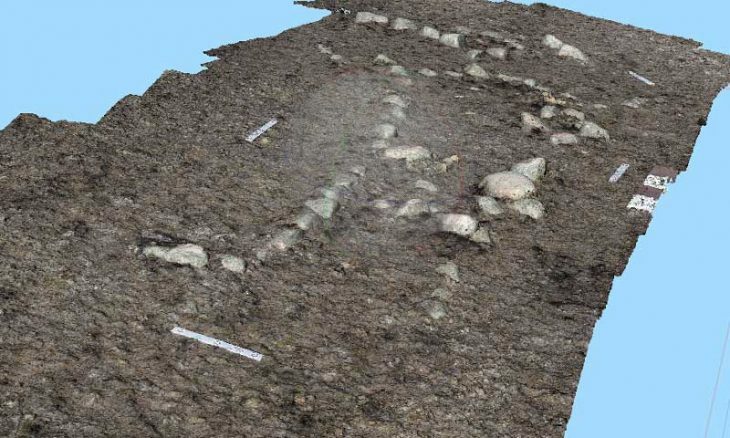 A grass fire in northern Montana has uncovered an ancient complex of stone alignments and other features that have likely not been seen for centuries — and certainly never from the air. Among the formations are two large effigies —or figures made from arrangements of stones — one of a human and the other, perhaps, of a turtle. The burn also exposed six rock cairns, a multitude of stone tipi rings, and dozens of so-called drive lines — alignments of large boulders that ancient hunters used to chase bison into a killing pen. Some of these formations had been identified in the 1960s, as part of a prehistoric bison-hunting camp known as the Henry Smith site, but they were never extensively recorded, and their full extent remained obscured by the prairie. Partial excavations at the time revealed a portion of the impoundment where the animals were trapped, as well as butchering tools and stemmed stone points that were indicative of a cultural complex from the Northern Plains known as the Avonlea phase. The artifacts — along with radiocarbon dates from six discrete layers of cast-off bison remains — showed that the site was used regularly from 770 to 1040 CE. As part of a new test project this spring, land managers set out both to preserve and to record the Henry Smith site, using a combination of the very latest technology, and the most ancient. First, in mid-April, a prescribed fire was set and was allowed to consume some 320 acres of open prairie. 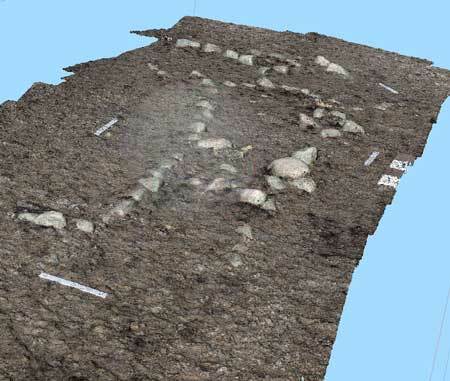 To determine how the burn might interact with archaeological resources, researchers placed temperature sensors in stacks of bones and rocks throughout the site. “Removal of the vegetation allowed for a clear view of an Avonlea period cultural resource complex, consisting of numerous stone effigies — both anthropomorphic and zoomorphic — stone cairns, drive lines, stone circles and potentially spiritual alignments and circles,” said Josh Chase, archaeologist for the U.S. Bureau of Land Management [BLM] in Montana’s Hi-Line District, in a press statement. Some of the site’s features, like the drive lines and the corral, served clearly practical functions, researchers said. But others seemed to play a more symbolic role. A few of the circles exposed at Henry Smith appear to be tipi rings, for example, but others may be types of medicine wheels — larger stone structures that marked an expressly ceremonial, ritual space. Effigies, likewise, have been found in both human and animal forms through the range of the Avonlea phase, but their exact function remains unclear. 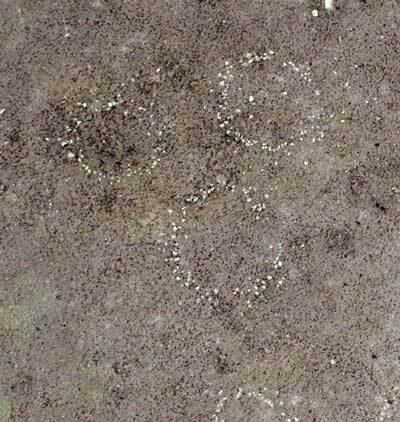 Historic accounts from some modern Plains peoples suggest that the human geoglyphs were used to memorialize bygone leaders. With the Smith site now exposed to full view, researchers said, its features can be mapped, measured, and analyzed for the first time to help untangle both the spiritual and survival practices of the Great Plains’ ancient hunters. “This was the first use of a [drone] by the BLM to obtain imagery and data in relation to Cultural Resources in the Northern Plains,” Chase said.